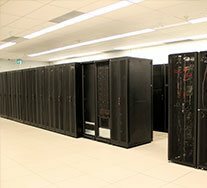 Toronto's Premium Colocation Datacenter Facility | Nuday Networks Inc.
Nuday’s Datacenter has both high physical security and power redundancy. Your data will always be safe, secure and available. Come pay a visit to your server and take advantage of our customer lounge. Work using our lightning fast Internet and relax, enjoying our in-house espresso blend! We offer one-to-one support and sales contacts at all times. An escalation procedure all the way up to our CEO is also in place if needed. 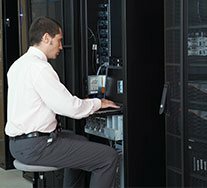 Building our newest datacenter in Toronto, we took every detail into the account, we worked hard, hired internal and external engineers as well as datacenter experts in order to come up with a unique, modern, efficient and highly reliable colocation and datacenter facility. 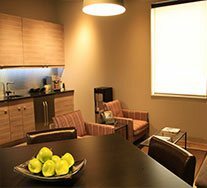 We supervised every step of the project, hired specialized contractors and used the most well-known brands in the industry like Eaton, Caterpillar, Daikin, APC, Tate, Honeywell, and ASCO. Located in the northern part of Toronto, Nuday continues to be a state-of-the-art colocation datacenter that offers unparalleled services to its clients. Its premier multi-homed designed network directly peers with some of the major providers such as Yahoo, LinkedIn, and Amazon. The Nuday network is determined to deliver the best of services and the efforts are evident through its implementation on cost-effective and environment-friendly technology. The professionals that form the core of Nuday have a vast background in IT infrastructure, civil engineering, connectivity, and hospitality. All of their collective experience is the reason Nuday is able to offer the best-managed services, colocation and cloud solutions to its clients. The Nuday network knows how important the security of any datacenter is. It’s an integral component because in order to provide unparalleled and uninterrupted cloud-based internet services, it’s imperative that the datacenter is fully secured, meaning that your data will be safe too. The security of Nuday colocation datacenter comprises on some important components. Access Control, for example, restricts the access of any unauthorized personnel into the sensitive rooms. Nuday monitors datacenter facilities 24/7, using the smart card technology to ensure controlled access to the rooms. There is also video surveillance to further impose physical security. Nuday has also installed modern double interlock preaction system in order to automatically to detect smoke and fire, and trigger an emergency condition and required actions. The Nuday colocation datacenter is smartly located at an ideal place for a datacenter. The northern part of Toronto, the city of Markham to be precise, has a low risk of natural disasters like earthquake, flood, and hurricane and also away from core downtown Toronto with the potential civil disorder and terrorist activities. The datacenter also has an extensive fiber-optic network that enjoys proximity with US networks, so that there is low network latency. Toronto, being the fourth most populated city in North America, also enjoys the presence of all the major providers like Google, Yahoo, Facebook, and Amazon. All the things mentioned above and others make Nuday a unique datacenter that is capable of fulfilling its promise of high-quality services to the clients. 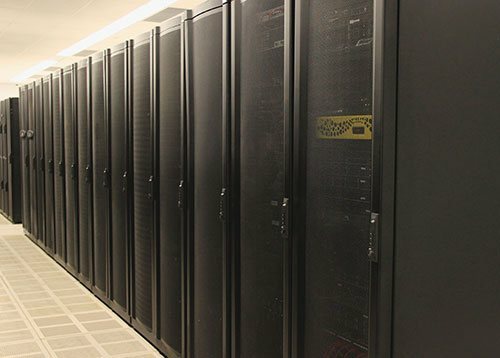 Power consumption of a datacenter plays a crucial role in its operations. Nuday is the first Canadian colocation datacenter that uses Toronto’s cold climate to its advantage and implements the innovative fresh air cooling technology. This technology is environment-friendly and also enhances the power usage effectiveness of the datacenter which results in competitive colocation plans and prices. Nuday has implemented modular UPS systems that allows uninterruptable power flow to customer equipment and servers even at times of maintenances and services. Nuday has connections to the top 4 Canadian fiber optic providers namely Bell, Rogers, Cogeco and Hydro-one to ensure fast & flexible connectivity and data synchronization between the main internet provider backbones and the datacenter. In addition to that, Nuday offers first-class business connectivity along with business continuity bundled services, which ensure that your business operates smoothly even after a major interruption or disaster. You also have the option to choose from a variety of IP bandwidth options that are priced differently. Simply choose a plan that will best suit your needs and enjoy first-rate internet services. 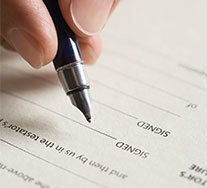 You can move in the very next day of your agreement! Wire your office with a super-fast fiber optic internet, connected back to your collocated equipment! Every datacenter has a lifespan. However, our datacenter is brand new and cared for with extra special care by us – guaranteeing it will have a long life! Modular design is the key to the redundancy aspect of datacenters. 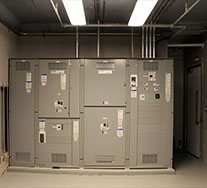 We have modular AC units, modular transformers, electrical switches and modular UPS systems. With many 1000’s of sq. ft. datacenter space available, we have a large white space to grow. This means we will be able to handle an infinite number of expansions and future clients with ease!